Hannah is an adventurer, businesswoman, wine enthusiast, self-improvement book fanatic, promoter of women in STEM (Science Technology Engineering Math), and an avid user of her iPhone calendar. She graduated from Texas Lutheran University where she studied Chemistry and then moved on to the University of Texas at San Antonio where she earned her Master of Business Administration. Her love for science, business, and wine fuels her dream to one day start her own vineyard and winery. 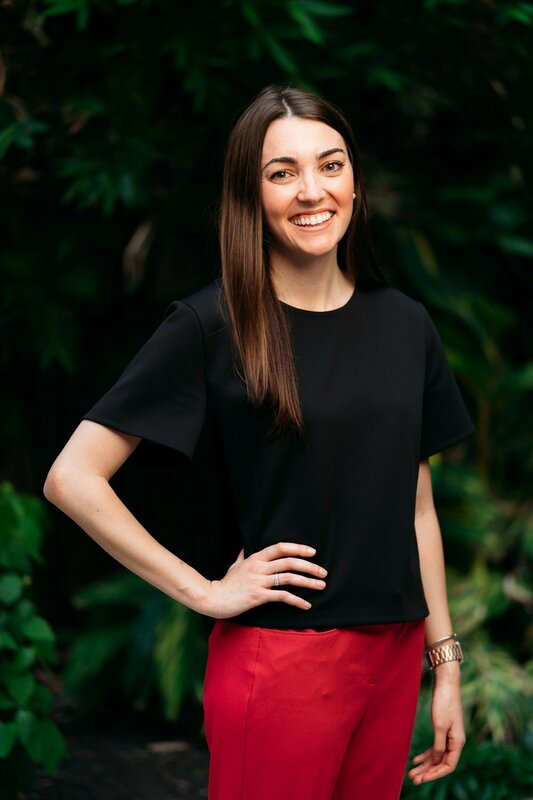 Hannah is very involved in the San Antonio, Texas community where she works for one of the largest corporate businesses and leads the United Way Emerging Leaders Council. Her passion for inspiring and encouraging women motivated her to create Florecer Femme, a gathering place for the fun and sophisticated feminine culture deep in the heart of Texas. In her spare time, you can find Hannah with her husband strolling along the Riverwalk or sipping wine downtown. Post Big Four Life, she works in finance at the first digitally-native western brand. In her work, she is guided by a philosophy of dedication and hard work creates the ability to drive continuous improvement throughout. Otherwise, she isn’t a regular accountant, she is a cool accountant with a love for queso and dark chocolate. She is an avid traveler, half-marathoner, and proud Coach’s Wife. Amanda aka “Gilley” graduated from Texas Lutheran University with a Psychology degree in 2011. After working in financial services for 5 years, she decided to follow her passion of exploration, knowledge, and corporate culture by moving across the pond to London, England. There she earned an MSc in Organizational Psychology from City University of London. She has since relocated back to the states and currently works in IT for a large international retailer as an Organizational Change Analyst. Gilley loves to travel, push herself out of her comfort zone, animals, and supporting fellow femmes through their unique personal journeys. She is passionate about local politics and gender equality. In her spare time, you’ll find her volunteering, working out, taking her dog (Emmit) to the dog park, going to local drag shows, and getting down on the dance floor with her husband and friends. Chrissy is a marketer, artist, foodie, and transplant to Texas, originally from Las Vegas, NV. She graduated from DePaul University’s Driehaus School of Business with a bachelors degree in Marketing. She’s currently finishing her Master of Business Administration through the University of Illinois at Urbana Champaign’s iMBA program (ask her about it - it's an awesome program!). Chrissy currently manages integrated marketing projects for a global food manufacturer based in San Antonio and loves working in the food industry. In her spare time, Chrissy runs a small calligraphy business, restores vintage furniture for her 1950s ranch-style house, and loves on her husband and dog. Laci is mother to two amazing daughters, wife to her high school sweetheart, and a middle school math teacher. She is creative, nurturing, witty and loves her family fiercely. She graduated from Texas State University with a Bachelor’s of Exercise Sport Science. Laci felt the calling to become a teacher and completed Texas Lutheran University’s Post Baccalaureate Teacher Certification Program. She has since been teaching middle school math in her hometown. She mentors her students and works tirelessly to make math fun. She passionately shows her students that smart is cool. In her spare time, she can be found kayaking, crafting, filling out her old school paper planner, roaming the aisles of Target, and enjoying cul-de-sac life.